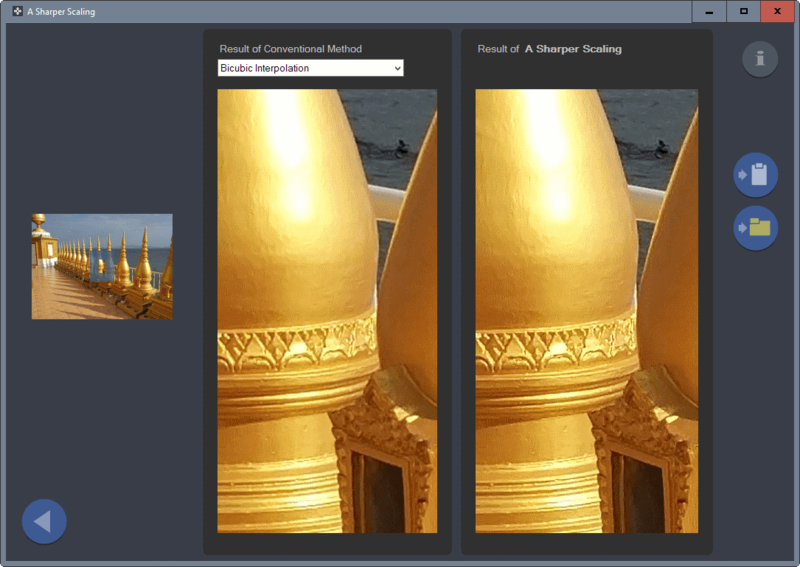 A Sharper Scaling is a free program for Microsoft Windows devices that uses an algorithm specifically designed to improve the image scaling quality. If you have worked with images or photos before, you have probably changed their size every now and then as well. Maybe to reduce the file size of Megabyte large photos before sending them to family members, or as a webmaster to reduce the file size before publishing images on a blog or site. While it is usually less of an issue to reduce the size of an image or photo, upscaling is another story. Upscaling refers to enlarging the image using algorithms such as bicubic interpolation or bilinear interpolation. A Sharper Scaling is a free program that brings along with it its own algorithm to scale images. Note: The application requires the Microsoft .NET Framework 3.5, and runs on all recent versions of Microsoft Windows. Also, it needs to be installed before it can be run. The interface of the program is streamlined. You find only a handful of buttons on the first page. You may load an image from clipboard or the local device, or load one of the three sample images instead if you don't have an image at hand and want to test the application's effectiveness. You may select between three different sizing modes. Basically, what you do there is either select a desired target size or a scaling percentage (e.g. 200%). The next page displays the image using an algorithm that is used traditionally to scale images, and the A Sharper Scaling version of the image next to each other. This enables you to compare results quickly. You may switch between four traditional algorithms to check them out, and move around in the image to preview another area of it. Once you are satisfied with the result, you may save the A Sharper Scaling version of the image to the clipboard or the local file system. You may go back as well to change the sizing mode or load another image instead. 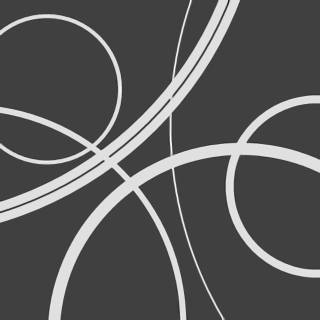 A Sharper Scaling produced good results during tests when I loaded small resolution images into the app. The upscaling algorithm produced sharper images more often than not during test runs, especially when low resolution images were upscaled. One downside of the program is that it does not offer any preferences or options. There is no option to bulk process images, no option to process only part of an image, or to tweak the algorithm by flipping switches or using sliders. While that may appeal to users who prefer a simpler solution, it means that you will have to live with the result that the program produces. Now You: Which program do you use to scale images? Can’t be as good as ewa_lanczossharp or as wow/weird as nnedi3 upscalers! Tried it, waifu2x still better. Quick look and one thing is that as an artist waifu2x seems to have a tiny edge in coloration. I used the ID number banner around waist. It just seemed a touch richer than first one, least good middle one. Thanks for pointer. First glance all 3 about same sharpness to me other than file sizes. Quoting the article, “One downside of the program is that it does not offer any preferences or options. There is no option to bulk process images, no option to process only part of an image, or to tweak the algorithm by flipping switches or using sliders.” will be bothering I guess when the sharping value may be an average which won’t optimize sharpening on some images. Here for editing images (scaling included) I use ‘PhotoFiltre’ and ‘PhotoFiltre 7’, the former only freeware and the latter in its freeware version. When scaling up images I’ll sharp, and blur, and sharp … it’s sometimes quite a deal of work to optimize zoomed out pictures. I tried out waif, as suggested by funduk and compared it with FastStone (my default image editor), Reshade (which I downloaded from giveawayoftheday) and A Sharper Scaling. The best quality result was with waif, but the file size was over ten times the size of the FastStone file size. Reshape and A Sharper Scaling both gave decent results, one was twice and the other three times the FastStone file size. I’d say that A Sharper Scaling was very simple to use, and is therefore a keeper. If quality was the main requirement then waif would be my preference. Reshade had some preferences to play around with, and more options (including batch processing) than A Sharper Scaling. You are comparing lossless .PNG with lossy .JPG (all three clearly with different default quality settings). Same image with more details should be _insignificantly_ larger (with same compression options). Try the same files optimized by free online tool JPEGmini (you may need to convert PNG→JPG with FastStone), their size should be comparable. Thanks for pointing that out. Just saving it as a .jpg reduced the size of the file to a much more manageable twice the size of the original. Here is the comparison of Reshade, A Sharper Scaling and waifu2x afterwards, without putting any of the images through JPEGmini. I use Reshade: http://reshade.com/ Gives me excellent results, has a batch processing mode and tons of adjustable parameters. Btw this is why I like Ghacks. I discover some quality apps. Can’t overwrite the existing photo under Windows 8.1(error message : a generic error occurred in GDI +), well save it somewhere else. Very interesting! Any related tools to clear up fuzzy or out of focus images? Thanks for the tip, Martin. And thanks to other people here for theirs as well. I can also recommend the Projects series by Franzis, not for the resizing itself, but for pre- or post-resize adjustments like denoising (Denoise Projects) and sharpening (Sharpen Projects, Color Projects and HDR Projects). They offer giveaways every now and then, and once you bought a product, they are generous with discounts for other ones as well. Great stuff. Deutsche Gruendlichkeit. They also sell a product called Photo Zoom that uses three s-spline engines ; it’s expensive and I did not see a giveaway of it yet, but I’m definitely watching out for that one. Also with Xara Photo and Graphic Designer I already had great results. 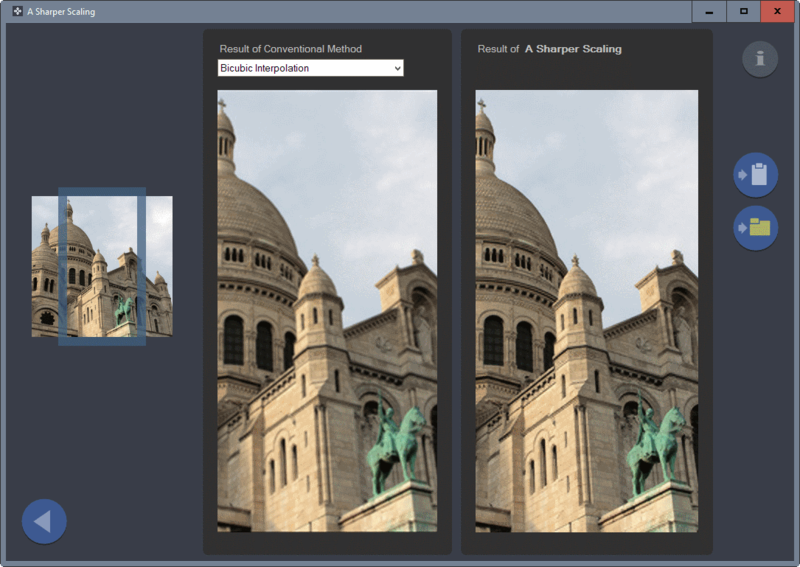 Zoner and Xara are great for content-aware resizing as well. But as always : it all depends on the source image. Does anyone have an idea as to why Bitdefender blocked the site yesterday and today? Also, a friend downloaded the app yesterday and installation was blocked by Norton security software…was the website infected? Is the software? In any case, to those who installed it, get a herdProtect scan done…won’t cost a penny and there might be a reason for concern. I get best results with GIMP sharping. Depending on the original image, the first sharpening at 60 and the second sharping at 40 usually works nicely. The better technique is to move the slider up until it begins to distort the image, and then back off until it is a little less than maximum sharpness for that image. Then sharpen again with the same technique. The result is better than anything other program I’ve used. I do use IrfanView first to crop and resize and flip if required, and then go to GIMP to adjust HSV, hue, and saturation and anything else GIMP can do that is appropriate. If bucket fill is required for the image, the slider for that function is best done in Paint.NET . Thanks for user comments that stress file size and batching capability. For this app those seem to be limiting factors especially lacking batch. I mean really. For years I’ve just cut slack about batching figuring lack of it is often due to developer thinking, well each image will require specific, one by one, analysis by photographer to determine, so why offer chance to mass execute. Then the mixed results will reflect badly on program. But finally some apps are starting to offer batch, and sometimes smaller file size to go with it. So I save one by one for ACDSee Ultimate, & XnView 54 for batching/size/Lossless. I use Portable FastStone Image Viewer. Looking back to my notes, it appears that I had lost two apps out of view, that might interest some people as well. Image Analyzer is not specifically made for this, rather technical and messy and lacking help, but it includes a HD resizing engine called Wiener filter, which is good quality. Idimager BD Sizer is not on offer anymore on their webside, meanwhile being included in their general-purpose payware. But its 2010 beta is still available on Softpedia. Besides Lanczos3 and Bspline it also has an engine called Smart. For fans of frames around images, it also lets you add quite decent frames in the average colour of your image.